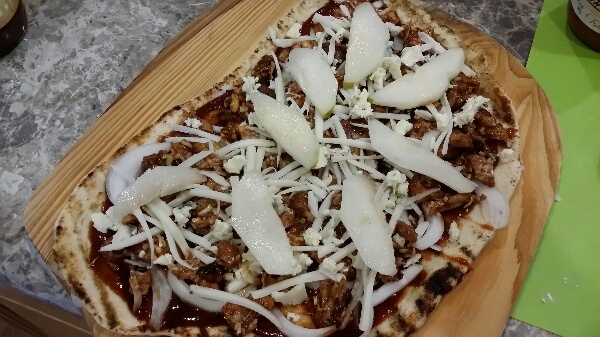 Leftovers sometimes make the best pizzas. 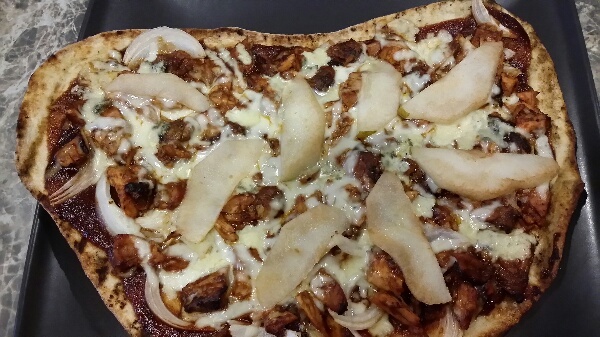 We had some leftover BBQ Chicken that needed to be used and a half of a pear left from lunch. This is what we came up with. 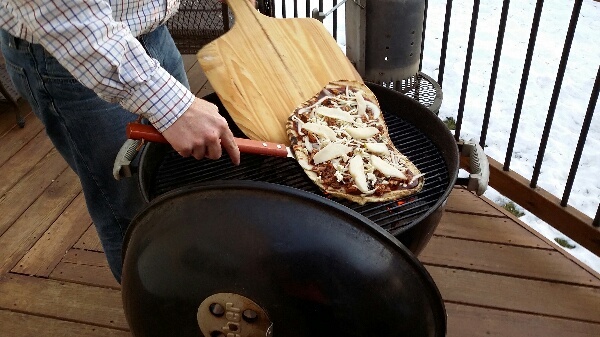 We decided to grill these pizzas, but they would be just as good in the oven as well. Put charcoal on half of the grill leaving the other half empty. 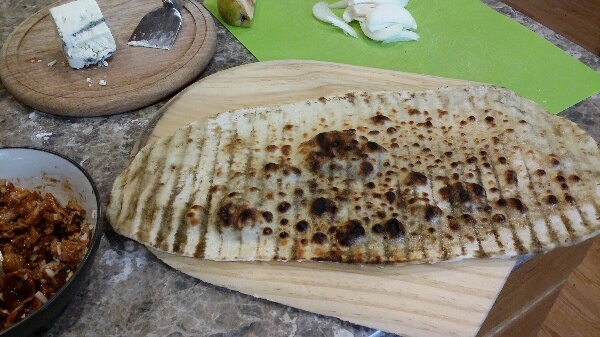 Place rolled out dough with a little olive oil over charcoal and cook about 2 – 4 minutes. Check to make sure it doesn’t burn. 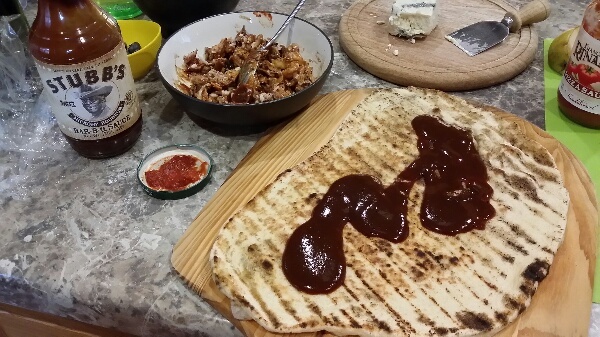 Transfer back to pizza peel and cover cooked side with bbq sauce. Then add the rest of the toppings ending with the pears. 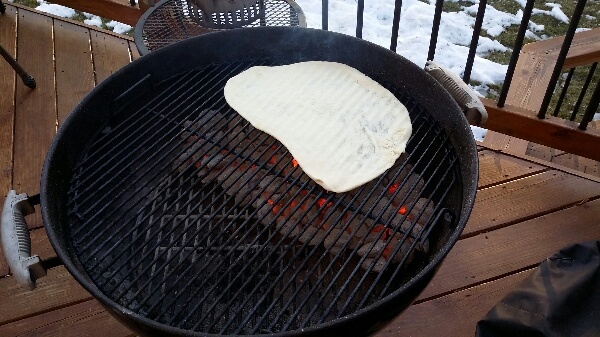 Put back on the charcoal side of the grill to cook another 2 minutes, and move to the cool side of the charcoal to finish and cover. This should take about 10 minutes. Transfer to serving dish and let cool. If you are making more than one pizza, then you can put the first pizza in a warm oven while cooking the next one.